For any redhead out there who especially loved The Little Mermaid because Ariel had beautiful red hair and you could finally pretend to be a Disney Princess, LOOK AWAY NOW. 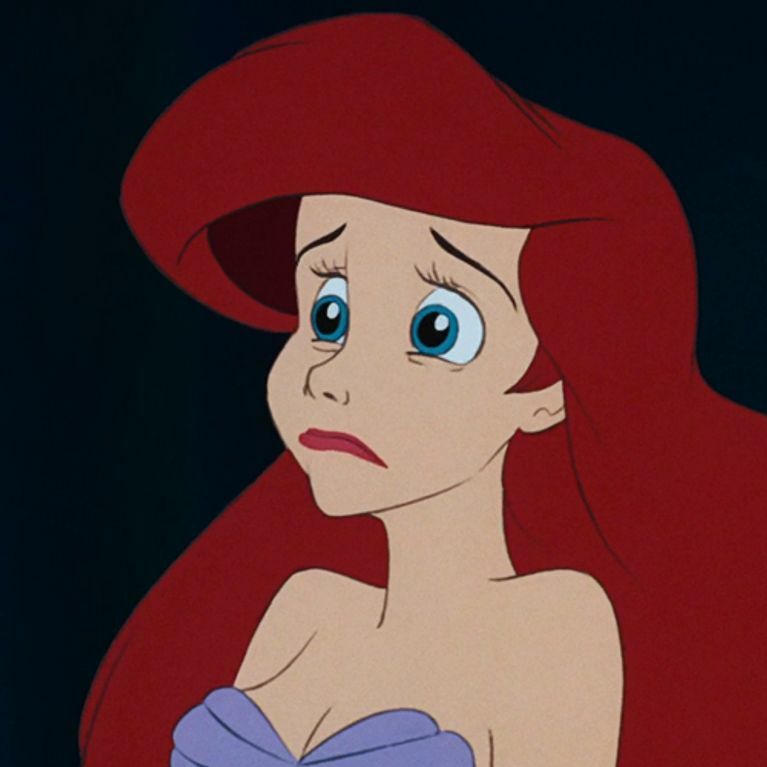 Apparently Ariel is going to be blonde, BLONDE, in the live-action version of the incredibly popular Disney movie, and people are just a little bit devastated by the news. When speaking to Entertainment Tonight about her new role as Ariel in The Little Mermaid, Chloe Moritz dropped the absolute bombshell that she would not by dyeing her hair red. She said: "I want red hair but we're going by the Hans Christian Anderson novel so I'll actually have blonde hair." Sorry, what? A blonde Ariel? How! Why! Apparently in the original fairytale Ariel's hair colour was never described, and technically she can have whatever colour hair the Hollywood overlords deem her to have, thus creating ANOTHER blonde Princess. But surely after The Little Mermaid was such a sensation since 1992, Ariel's red hair must have become canon by now, right? RIGHT?! Also, with this logic it means that they would have to stay true to the Hans Christian Anderson version of the tale, in which in the end *168 year old spoiler alert*, Ariel turns into sea foam after the Prince falls in love and marries a different Princess, and Ariel refuses to murder him in his sleep (the only way to turn her back into a mermaid). Are you going to include THAT in your original, blonde retelling of the story? HMMMMM? What do you think about this? Tweet us @sofeminineUK! This piece was written by Emmy Griffiths. Tweet her @emmyfg! Disney Fans Rejoice: There's Going To Be A Live Production Of 'The Little Mermaid'! What Would Disney Princesses Look Like With Normal Waists?